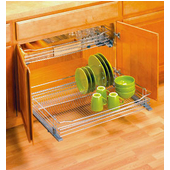 Organize your pantry and transform your kitchen storage with these stylish and functional roll-out pantry trays by Hafele. 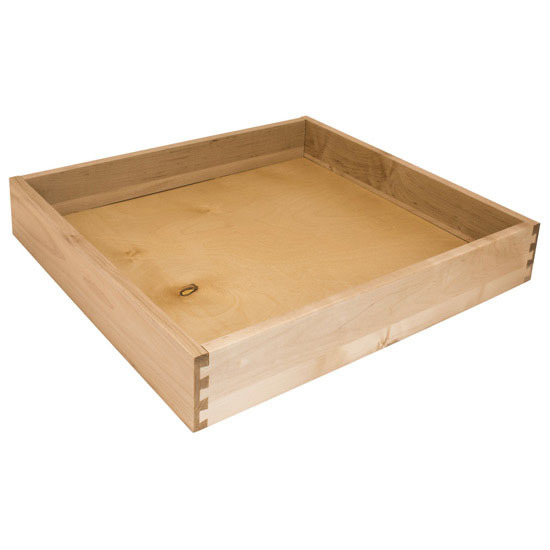 Each pantry tray is crafted from 5/8" solid maple with dovetail construction, with notches and drill holes for undermount slides. 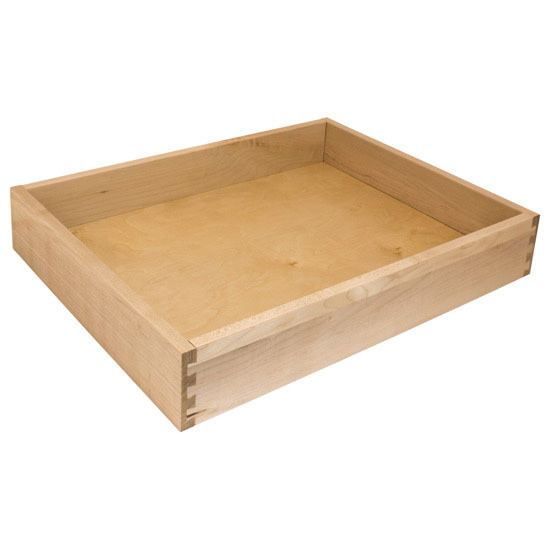 Available in multiple sizes for frameless and face frame applications, these simple, yet charming pantry trays will help you stay organized in the kitchen without the unnecessary clutter. 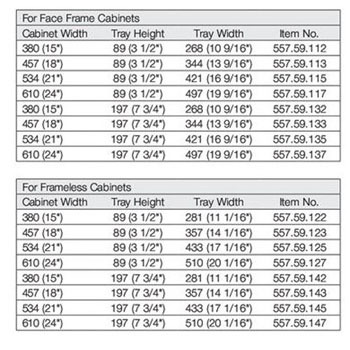 Per Hafele, it's 21-1/8" front to back. 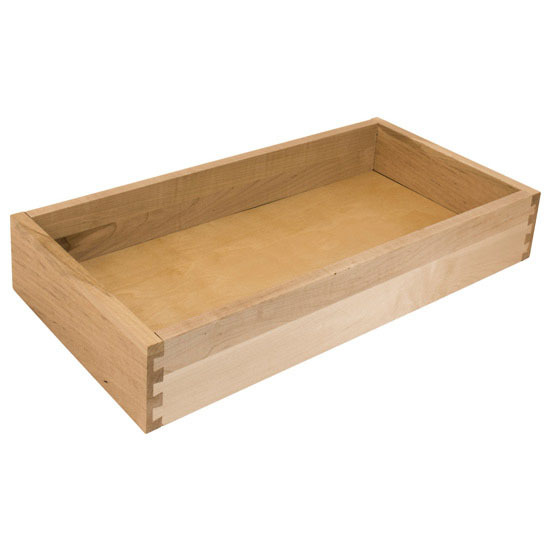 Item HA-557.59.115 is just for the drawer. 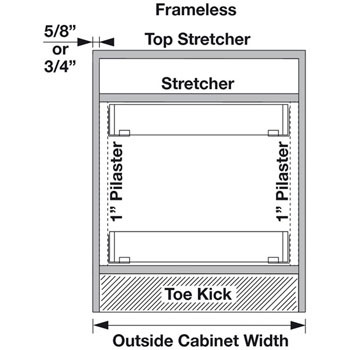 You would also need to order the slides as well as the pilasters. 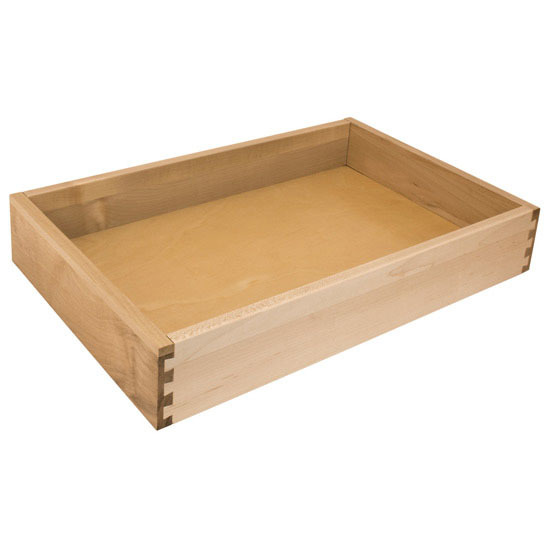 If you look on the product information page above where the pricing is listed, it states step 1-3; each step will show what needs to be ordered for you to have a complete drawer set up. 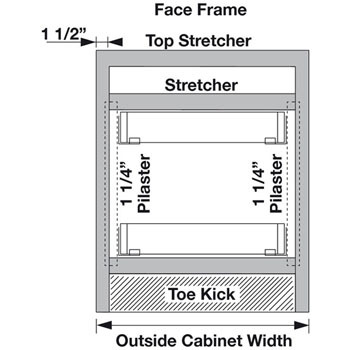 All of the slides are undermount, so they would need to be mounted to the cabinet floor or existing shelf. The slides include both Soft & silent features on them.